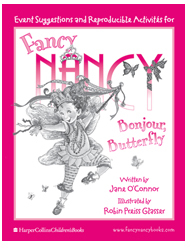 Get acquainted with (that’s fancy for get to know) author Jane O’Connor and illustrator Robin Preiss Glasser, the dynamic duo behind the bestselling Fancy Nancy books. 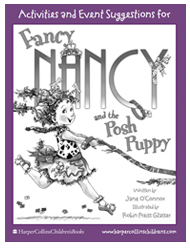 Jane O’Connor is an editor at a major publishing house and has written more than seventy books for children, including the New York Times bestselling Fancy Nancy series, which is comprised of over 50 titles so far. 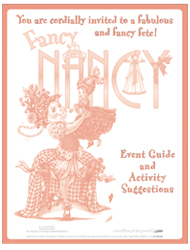 She resides (that’s a fancy word for lives) in Manhattan with her husband, Jim. 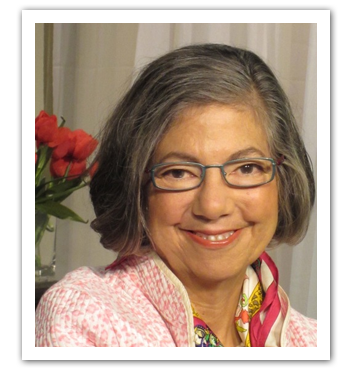 Her two grown sons have fled New York, however, and are both living in Los Angeles. 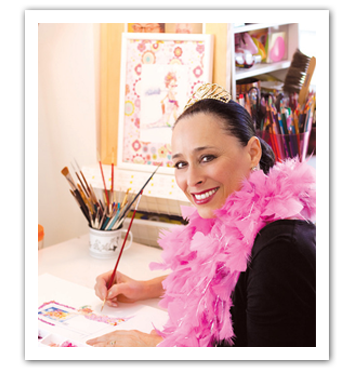 Robin Preiss Glasser wore tiaras and tutus when she danced as a soloist with the Pennsylvania Ballet. Now she happily spends her days in jeans, drawing. 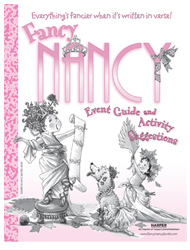 She has illustrated many acclaimed picture books, including the now classic and beloved Fancy Nancy series. 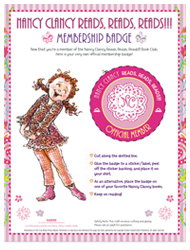 In 2013, she won the Children’s Choice Award for Best Illustrator of the Year for Fancy Nancy and the Mermaid Ballet. 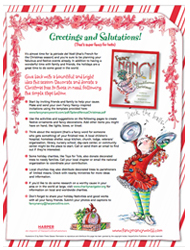 Robin lives in Southern California with her husband, Bob, and two children, Sasha and Ben. 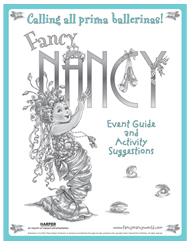 Download and print the Fancy Nancy-inspired event guide booklets below any time you want to plan, host, and enjoy a splendiferous event in your bookstore, school, library, or home. 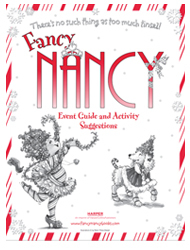 Plan, play, and party with Fancy Nancy! 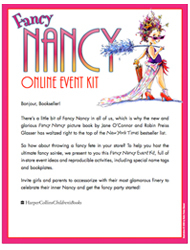 Download the featured event kit, designed to help you host an extraordinary event in celebration of Fancy Nancy’s 10th Anniversary (that’s fancy for one decade of fun). 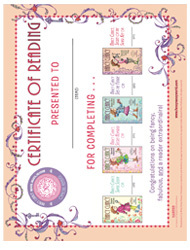 The event kit includes a poster, growth chart, activities, book jackets, author and illustrator photos, and more. 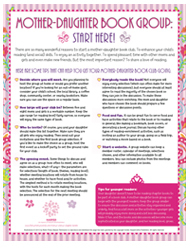 Everything’s fancier when it’s written in verse! 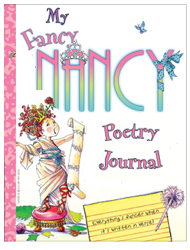 Fancy Nancy: Poet Extraordinaire! 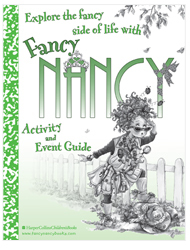 Explore the fancy side of life with Fancy Nancy. 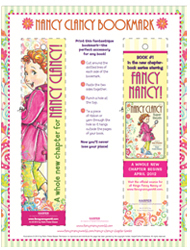 Fancy Nancy: Explorer Extraordinaire! 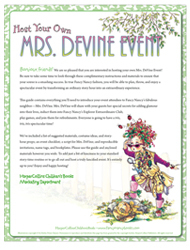 Host your own Mrs. DeVine event. 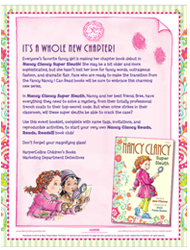 Fancy Nancy: Explorer Extraordinaire! 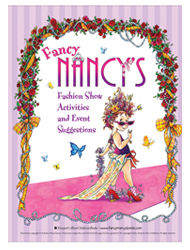 Host a Fancy Nancy fashion show. 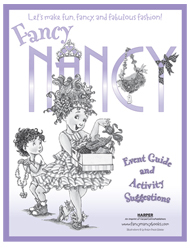 Fancy Nancy: Let’s Get Fancy Together!